H-Frames can be built to specifications. M6 Mini Foot Strut 110x110mm Ideal for all light weight installations and simple and e..
Mini Foot Strut 110x110mm Ideal for all light weight installations and simple and easy..
Mini Foot Strut 110x110mm With Screw Bolt Ideal for all light weight installations and..
250mm Foot Strut Channel Assembly 110x110mm Ideal for floor mounting installations and simp..
450mm Foot Strut Channel Assembly 110x110mm Ideal for floor mounting installations and simple and..
650mm Foot Strut Channel Assembly 110x110mm Ideal for floor mounting installations and simple and..
XL Foot Strut Mounts - 160x160mm Ideal for all light weight installations and simple and ea..
250mm FX Foot The Flexi-Foot Range are ideal for supporting pipe work and cable tray. Als..
400mm FX Foot The Flexi-Foot Range are ideal for supporting pipe work and cable tray. Als..
600mm FX Foot The Flexi-Foot Range are ideal for supporting pipe work and cable tray. 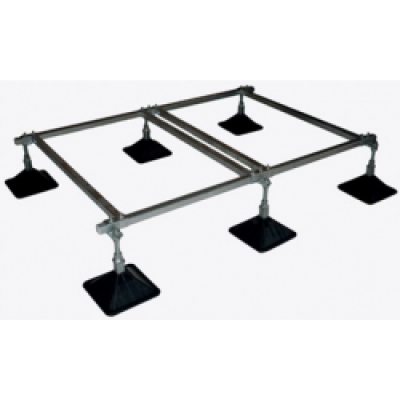 Als..
1000mm FX Foot The Flexi-Foot Range are ideal for supporting pipe work and cable tray. Al..
Durafoot ® H Frame Foot Strut (Single) The Durafoot Flat Roof Top Mounting System- This is ..
Durafoot 350mm Rubber Feet x 2 This is the ideal platform for supporting Air Con Units, ..
Strut - Pro Framework Set This is the ideal platform for supporting Air Con Units, Heavy..
350mm Rubber Foot Strut for 41mm Back to Back Channel The Unifoot Flat Roof Top Mounting Sys..
Strut - Pro Adjustable Leg This is the ideal platform for adjusting the height of any Un..
Strut - Pro Adjustable Base Plate This is the ideal platform for adjusting the height of..
500mm Rubber Foot Strut for H-Frame Systems 500mm x 500mm Rubber Support Pad for H-Frame Sys..
Easilok 7mm Floor Tiles - Black Heavy duty flooring tile, suitable for use with fork trucks, p..